Visual score for Austrian percussionist Martin Brandlmayr (Radian), produced on the occasion of Letra / Tone Festival 2014. 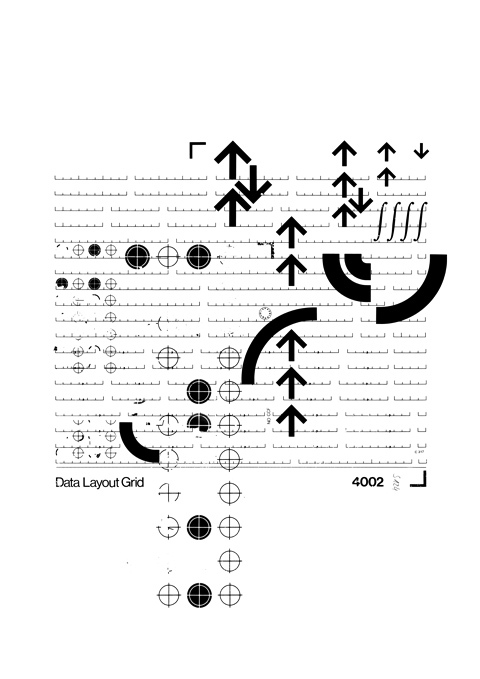 The festival revolved around six visual artists producing graphical scores from Letraset screentone material the curator (Hanno Leichtmann) provided, and six musicians interpreting those scores. Performed at Letra / Tone, Radialsystem V (Berlin), April 12th 2014.